Thoroughly wash the beans and the carrots (also peel the carrots) and put them in a pot of water. Let them cook completely before adding them to a food processor along with the rest of the ingredients. 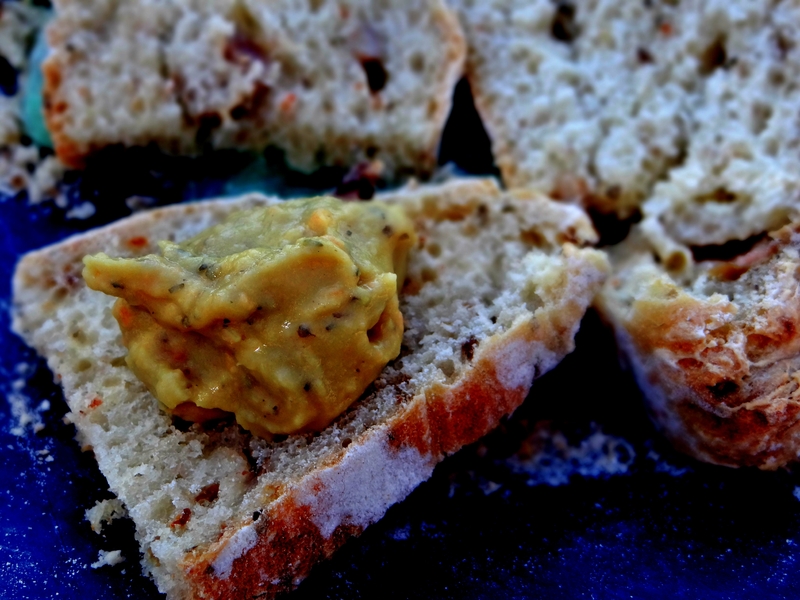 This is a wonderful spread to combine with that mouth-watering olive bread recipe. Гравот и морковите се мијат убаво и се варат, па се ставаат во блендер заедно со сенфот, лукот, зачините. Се добива одличен намаз за лепчето со масинки.